Brainfit Coaches and speakers are asked a lot of questions! 3. Why can’t I remember young people but have no trouble with people my age? One of the exciting aspects of our wonderful brain is its ability to adapt to the tasks we need it to do. The ability to grow new brain connections (and strengthen old connections) gives us the ability to learn and develop right into late old age. One of the ways the brain does this is to put its resources into tasks we do all the time, and to withdraw cognitive resources from things we no longer do very much. When I was carrying out research into memory across the life span, one of the tasks participants completed was to look at forty men’s faces – 20 were of young men and 20 were of older men. The next task was to look at eighty faces, and then to point out the 40 they had seen before. The young people taking part had no problem at all in picking out the correct young faces, but were not as good as choosing the older faces correctly. For older people it was the opposite. They were really good at choosing older faces correctly but when the young faces came often said “You are tricking me – you have put the same young faces in lots of times.” I hadn’t, but those comments demonstrated that older people, who often associate much more with other older folk than they do with young people, retain the ability to know ‘who’s who’ because they are using it all the time. This skill works in other ways, too. It is well researched that we can distinguish between people of our own ethnicity better than we do people from other cultures. In psychology it is called ‘own group bias’, and I am sure you can think of other circumstances where it comes into play. 4. What is photographic memory? We sometimes hear some described as having a ‘photographic memory’ and envy them. Neuroscientists universally agree that there is no such thing. The nearest we can come to it is known as an eidetic memory – this is where a person (particularly in childhood) holds a visual image of what they have seen for much longer than is usual. In the sensory memory, images disappear very fast indeed, but those with an eidetic memory may hold on to an image for 30 seconds or more which is long enough for the image to be transferred to long-term memory. However, this is not as durable as something studied at length. We do hear of individuals with savant ability in memory – but this is always at huge developmental and mental cost. 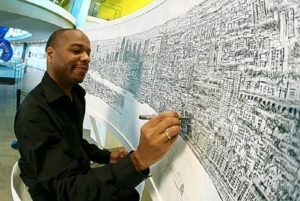 An example is Stephen Wiltshire who, diagnosed as autistic was sent to a school for special needs. Although he didn’t speak at all until nine years of age, he developed a passion for drawing – animals, London buses, city landmarks. He has a particularly strong savant talent – he can draw an accurate and detailed landscape of a city after seeing it once. He famously drew a 10-metre long panorama of Tokyo after a short helicopter ride over the city! So, no, when people claim to have a photographic memory, no reputable science backs that up at all. More questions answered next month. Do you have a question? Just ask Dr Lamont! 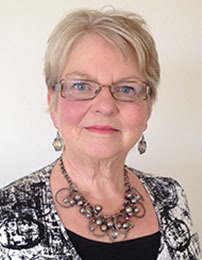 Memory Foundation co-founder and memory expert, Dr Allison Lamont, PhD (Psych), MA (1st), NZAC, NZPsS, APS, ASSBI. What aboùt children who have lack of this ability? That they have problems in memorizing spellings and how to develop or boost their ability?